Tou’ve seen the table of contents we run at the front of each issue; you know it’s a pretty straightforward index. But what if you want to know how many times artists appear in porkpie hats in the issue? 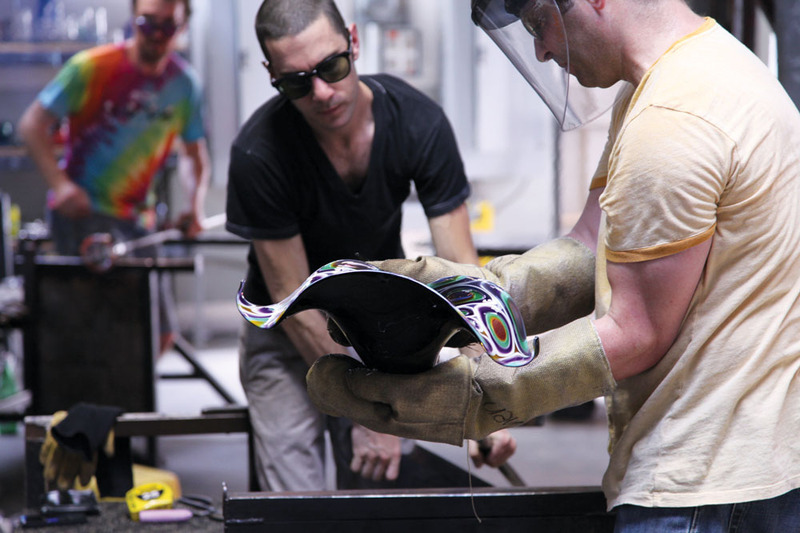 Or how many Dale Chihuly references we’ve made to date? The quirkiest coincidences our editors discover in each issue are chronicled in our new “unofficial” table of contents – and you’ll find it only online. This summer, Kansas City was host to a picnic like no other – on a 10,000-square-foot, hand-decorated blanket outside of the Nelson-Atkins Museum of Art. Co-hosted by the Kansas City Art Institute, The Picnic Project was the brainchild of KCAI fiber instructor Alison Heryer. 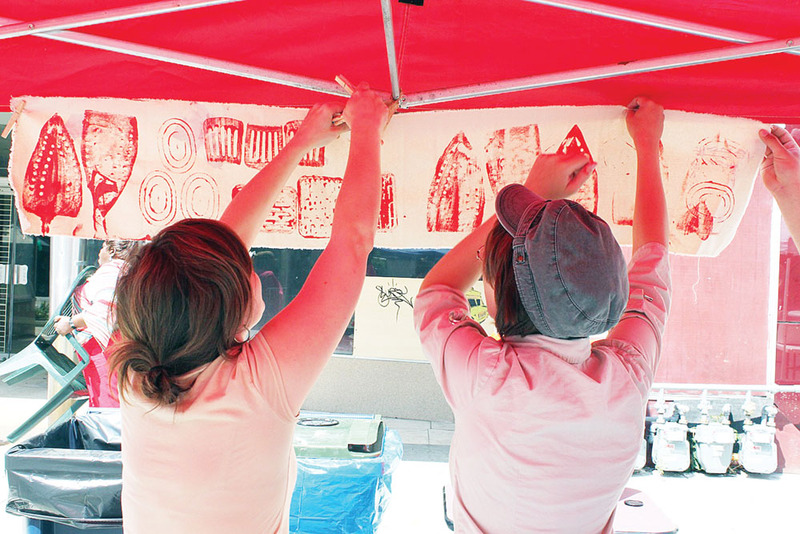 We talked to the artist about the big day – and community workshops (above) leading up to it, in which people stamped, stenciled, and otherwise made their mark on the blanket’s 400 fabric tiles. 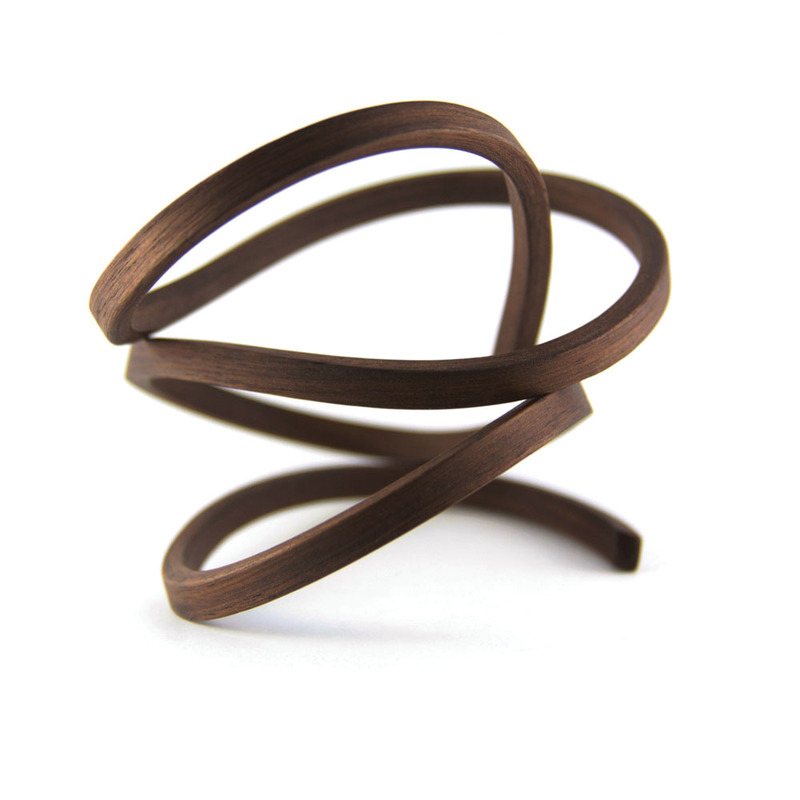 We recently filmed interviews with Paul Eisenhauer of the Wharton Esherick Museum and wood-jewelry artist Gustav Reyes, both of whom provide fascinating insights into the creative life. 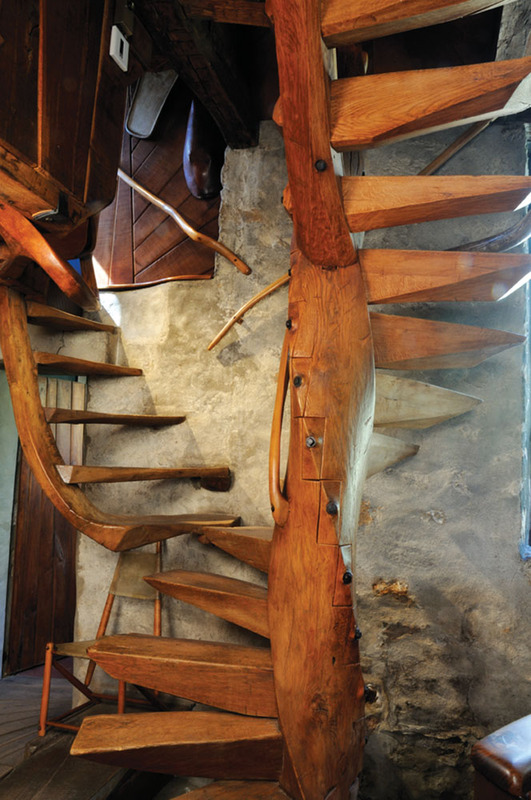 Eisenhauer discusses Esherick’s life, as well as his own thoughts on craft and technology, while Reyes talks about his journey to craft from construction and plumbing, and his conviction that everyone is creative. This spring the ACC’s Style Makers campaign, which honored craft aficionados in four U.S. cities, headed to San Francisco for photo shoots at Anchor Steam brewery and Public Glass. Check out behind-the-scenes videos of the action at these two inspiring locations and read about our 14 San Francisco Style Makers. 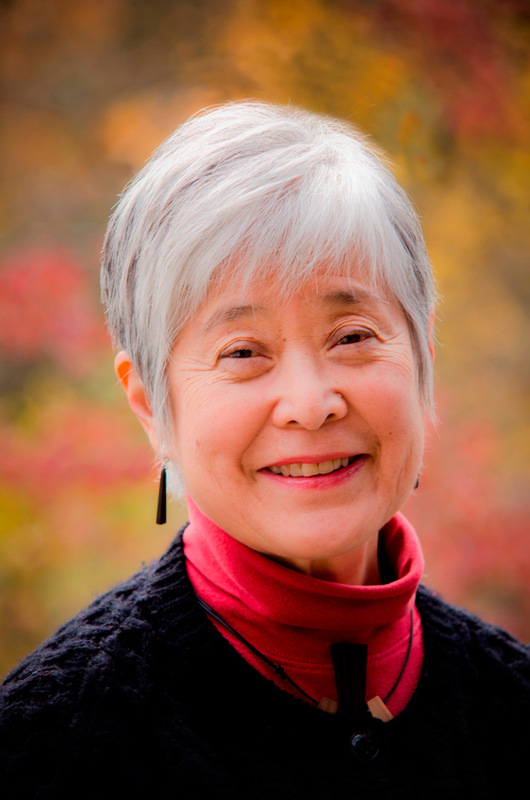 Mira Nakashima. Photo courtesy of George Nakashima Woodworker, S.A. 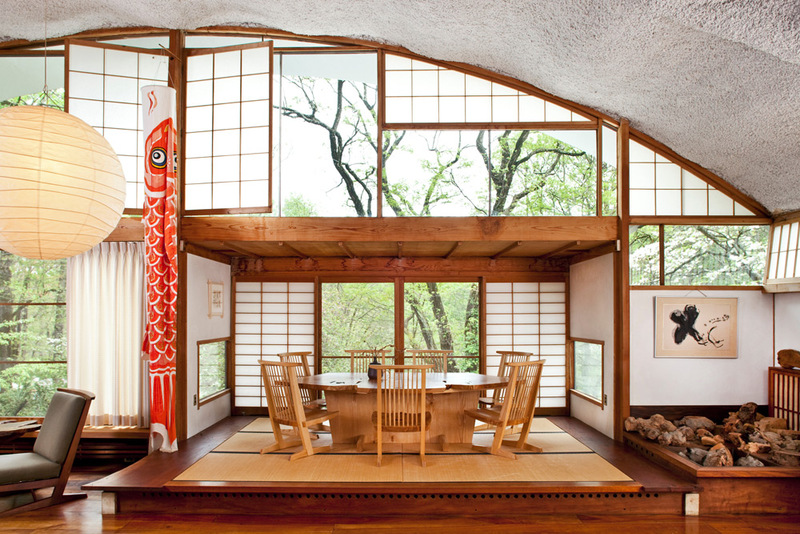 The Conoid Studio, designed by George Nakashima. Photo courtesy of George Nakashima Woodworker, S.A.